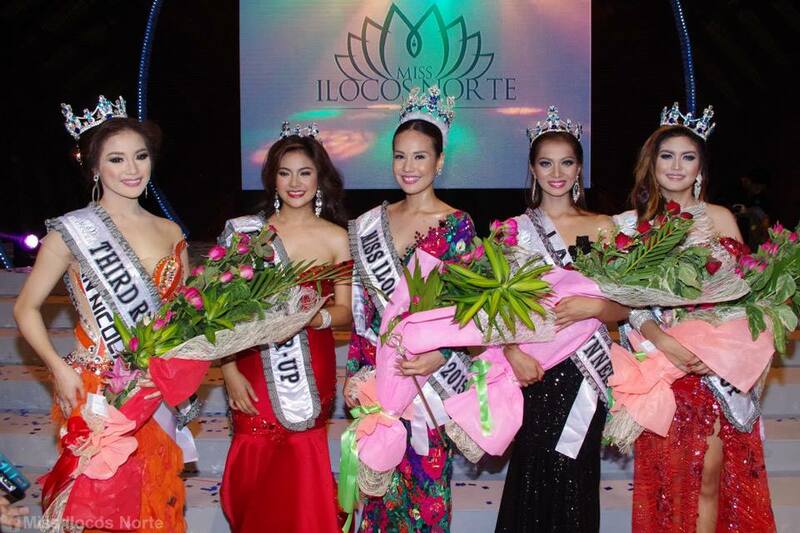 The Coronation Night of Miss Ilocos Norte 2015 held May 9 at the Centennial Arena before a crowd of around 6,000 measured up to the hype it generated in the past weeks. One can argue that it is one of the best provincial beauty pageants in the country and, no exaggerations here, probably among the world’s finest. I offer the following review. A visual feast The set design by Ohm David, a resident in big Ilocos Norte events, was stunning as usual. The images on a giant HD screen were carefully chosen and animated, providing ambiance to the competition’s various parts. For instance, flashed for the long gown competition were the buttresses of the Paoay Church on a starry night. Miniature windmills and huge harps also accentuated the stage in succession. I am amazed by the organizers’ eye for details from the grand set to the flower arrangements on the judges’ table. The lighting was perfect, but, given the inherent acoustic limitations of the venue, the sounds could have been better. All the production performers were good, but the background dancers during the swimsuit competition nailed it best. Wearing avant-garde costumes that fused Ilocano and Japanese elements, the dancers’ vogue movements were a joy to watch. They delivered a fresh presentation that did not steal the show from, but instead trained the spotlight on, the real stars: the 23 beauties. I have seen a lot of performances choreographed by Christian Espiritu, but that one, a total work of genius, is yet the best. The gowns and costumes created by our local designers were mostly remarkable, some of them even world class. In the evening gown competition won by Miss Pagudpud in an Amor Albano creation, the work of Jaynny Lao perfectly donned by Miss Laoag was also a hit. I am really glad of the fabulous display of artistry and talent. But organizers says some of these designers already have attitude problems even before they make it really big. Our source did not elaborate. One wonders, by the way, why Windell Madis of Batac, the third fashion designer from Ilocos Norte to make it to a fashion-oriented reality TV show, did not make anything for anyone, not even for his own town. Something, dear karikna, is amiss here.